Discover the benefits of retractable awnings. Do you want to control the amount of sunlight and shade your receive when you are in you are in your backyard? Retractable awnings are gaining popularity among homeowners because of their versatility and durability. 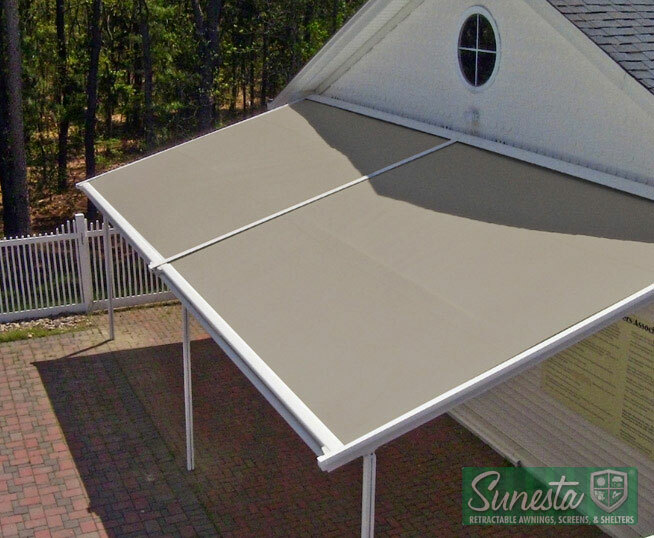 Retractable awnings allow you to protect your patio from rain, as well as, expose it to natural sunlight. If you are looking for a non-permanent structure for your patio, then you should look into a few of the benefits of retractable awnings. One of the major advantages of investing in a retractable awning is that it is very simple to use. Many advanced retractable awning systems are electronic and motorized, so all you have to do is press a button for the structure to extend and retract. Many motorized systems come with a remote. Even if you have a manual system, you just have to roll a crank roll and unroll the cover of the awning. When it comes to installing a retractable awning onto your home, you have the ability to extend your living space. By extending your awning over your patio, you’re creating a space for guests to socialize. A retractable awning is perfect to use during a pool party because it allows people to relax in the shade. You can also have family dinners under a retractable awning during the summer and early fall. There are several types of design options to choose from when it comes to retractable awnings. There are four categories of retractable awnings; lateral arm, drop arm, ribbed, fold up, and roll up. Lateral arm awnings are perfect for patios and backyards with a pool. You can design the structure to extend as far as you would like. If you want to be protected from the rain while outside, then a fold up or roll up canopy awning is a perfect option for you and your family. My husband and I have been thinking of adding a retractable awning to our porch since it is always so hot, and your article had some great points about the benefits of this. You mention that awnings come in a variety of styles including lateral arm, drop arm, ribbed, fold up, and roll up, making them very versatile. Thanks; we’ll keep this in mind if we deciding to add awning to our porch. My husband and I have a beautiful porch, but we find ourselves spending more time inside than outside because we simply cannot stand the heat. We heard awnings might help us with this issue, and your article had some great points about the benefits of something like this. You mention to consider a lateral arm awning, as it let’s the user extend the awning as far as we would like, and we’ll keep this in mind when deciding what kind of awning is bets for us.